History’s H2 channel release of “Hangar 1: The UFO Files” February 28, 2014, inspired at least one viewer to file a UFO report with the Mutual UFO Network (MUFON), according to testimony in Case 54384 from the MUFON witness reporting database. The witness had a UFO encounter about 10 a.m. on July 10, 2012, but had kept details of the incident to himself until a few scenes in the “Hangar 1” show depicted objects that resembled his original sighting. The “Hangar 1” episodes are based on MUFON case files and the first episode was televised just last evening. The witness was on his way to the bathroom when the object was first seen. And then a second witness walked by. The witness then noticed military helicopters moving into the area. The witness then went into the bathroom and returning five minutes later, the object was gone. No images or videos were included with the MUFON report, which was filed March 1, 2014. Virginia Beach, VA, has a population of 449,628. Virginia has a current UFO Alert Rating of 5 with a low number of recent reports nationally. Virginia had 8 UFO reports in February 2014 – the 15th highest reporting state – while California had 59 reports – the highest reporting state in the nation. The above quotes were edited for clarity. Please keep in mind that most UFO reports can be explained as something natural or man-made. If Virginia MUFON investigates and reports back on this case, I will release an update. Please report UFO activity to MUFON.com. 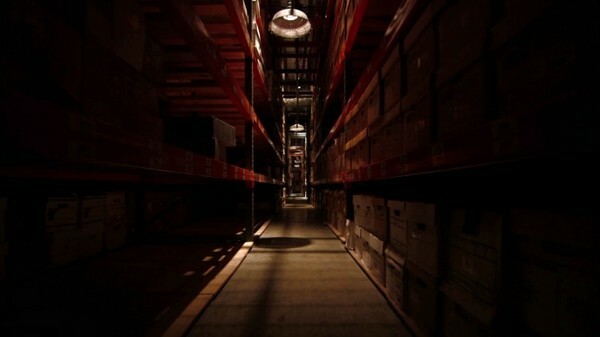 “Hangar 1: The UFO Files” can be seen on the H2 channel Friday nights at 10 p.m. ET. ET’s & Shadow Governments – What Else Does This Astronaut Know?